Is there a better alternative to Statistics Pro? Is Statistics Pro really the best app in Mathematics category? Will Statistics Pro work good on macOS 10.13.4? Statistics Pro... 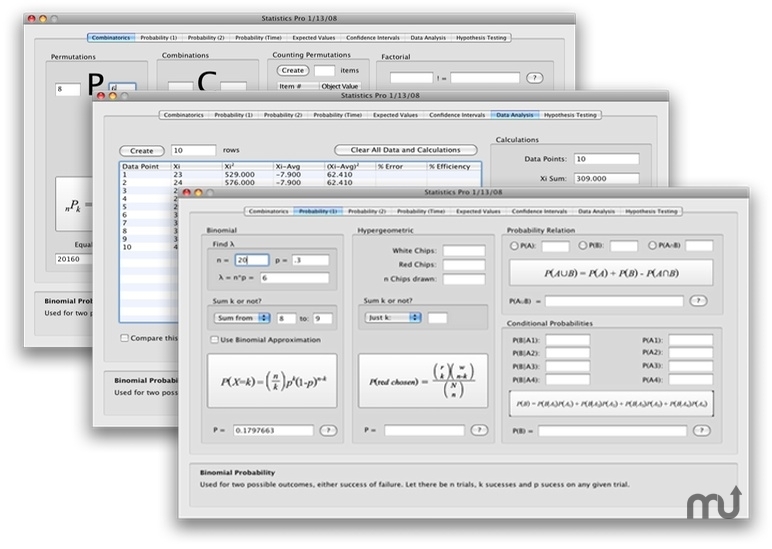 Designed for high school and college students to quickly compute tedious sums, probabilities, perform data analysis, confidence intervals and more. Resolved minor sub-calculation in the data analysis tab. Statistics Pro needs a rating. Be the first to rate this app and get the discussion started!